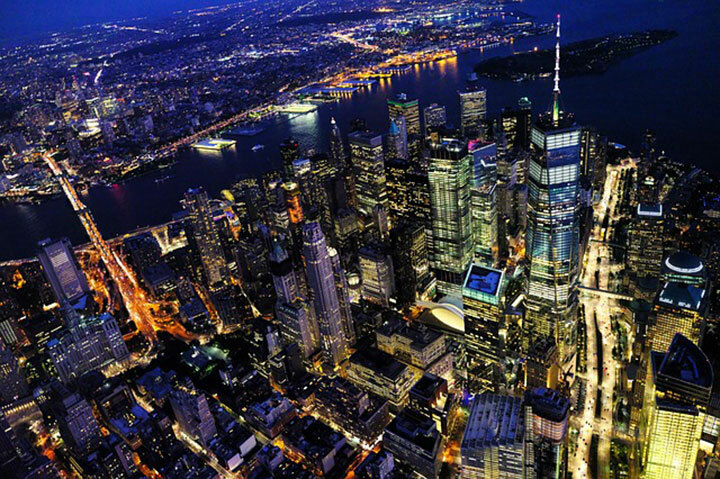 The Big Apple offers a multitude of avenues for success, such as Wall Street, Broadway and 5th Avenue. Now, Ole Miss students have the option to explore another opportunity to expand their resumes and the diversity of journalism in New York City through the NYC Semester in Journalism at The King’s College—a Christian liberal arts college—in lower Manhattan, near the New York Stock Exchange. Paul Glader, a Wall Street Journal veteran, will visit the University of Mississippi Nov. 6-7 to speak with classes regarding the program and give a guest lecture. “We are proud of the 14 students in the program this fall from 11 different universities, who are landing bylines and video credits at news outlets, such as the New York Daily News, Newsweek and The New York Amsterdam News,” Glader said. Glader said he believes this particular program is bringing needed diversity to the media ecosystem in New York City, along with helping top student journalists who are from underrepresented backgrounds, locations and ethnicities find their path to journalism opportunities in New York City. The University of Mississippi is one of 34 schools to partner with the NYCJ program, sending three students in past semesters. The program places 15 students who are current journalism undergraduates into newsrooms such as The New York Daily News, The New York Post and Newsweek, to name a few. In addition to tours, students who have been accepted into the program take three classes at The King’s College, including entrepreneurial journalism, which involves newsroom tours of media outlets such as Buzzfeed, The Associated Press and The New York Times. Students will study with Glader along with former New York Daily News editor Clemente Lisi and syndicated religion columnist Terry Mattingly. Students who are interested in the NYCJ program can apply can apply here for the early deadline for spring 2019. For more information on the program, students and faculty can reach NYCJ’s admissions director, Eleni Glader, at eglader@tkc.edu. The University of Mississippi School of Journalism and New Media partners with The King’s College in New York City to offer a semester of study. With a growing network of 33 New York City Semester (NYCS) partner schools, the Christian college has a class of 14 students studying in the journalism track this fall. Journalism students interested in the program may submit application materials up until Dec. 1. This academic year, one semester’s tuition (up to 15 credit hours) and housing is $12,500 for partner schools. To be eligible, students must have completed at least 30 credit hours and have a cumulative grade point average of 3.0 or higher. This fall, legendary newspaper designer Mario Garcia is teaching a I-credit bootcamp on design. Garcia has redesigned over 700 papers, including The Wall Street Journal, Die Zeit and The Washington Post. NYCJ Co-Director Clemente Lisi will also teach a I-credit module on copyediting to prepare students for editing at student newspapers and in competitive internship programs. This semester, NYCJ students are interning at the New York Daily News and Newsweek, and NYCJ alumni spent the summer interning at The Newark Star-Ledger, NJ.com and NBC News Digital. Two alumni from last year’s NYCJ program were awarded DowJonesNews Fund internships to work at The Detroit News and the Pacific Coast Business Times. Recent NYCJ alumni are now working at Talking Points Memo, Fox News, NRK Sørlandet in Norway, Mt. Pleasant News and BRIC TV; one NYCJ alumna is a fellow with Al Jazeera’s program The Stream. Submit an application on our website at tkc.edu/nycs. For any questions about this NYC Semester experience, contact Brittin Ward at nycsemester@tkc.edu. For specific questions about the journalism program, feel free to contact Eleni Glader at eglader@tkc.edu.